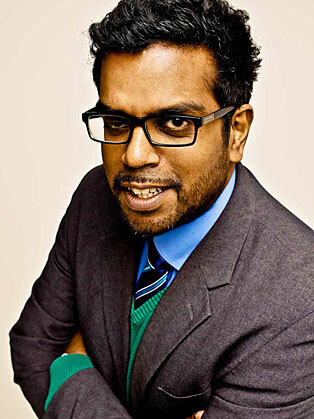 Romesh Ranganathan is best known for his stand-up comedy. Romesh Ranganathan is a British stand-up comedian and actor who has appeared on Mock the Week, Holby City, Soccer AM, Russell Howard's Good News, Sweat the Small Stuff and Virtually Famous. Romesh started performing as a comedian whilst doing his day job as a mathematics teacher. Now he’s an acclaimed stand up comedian and an Edinburgh Comedy Award Best Newcomer nominee. He’s also toured with Sean Walsh, supported Ricky Gervais on tour and written for Stand Up for the Week. As well as this, he has appeared on numerous television programmes such as Live at the Apollo, Mock the Week and Radio 5Live’s Fighting Talk. Critics see him as well on the way to mainstream success.